I know we are already a week into the new year (happy New Year!) 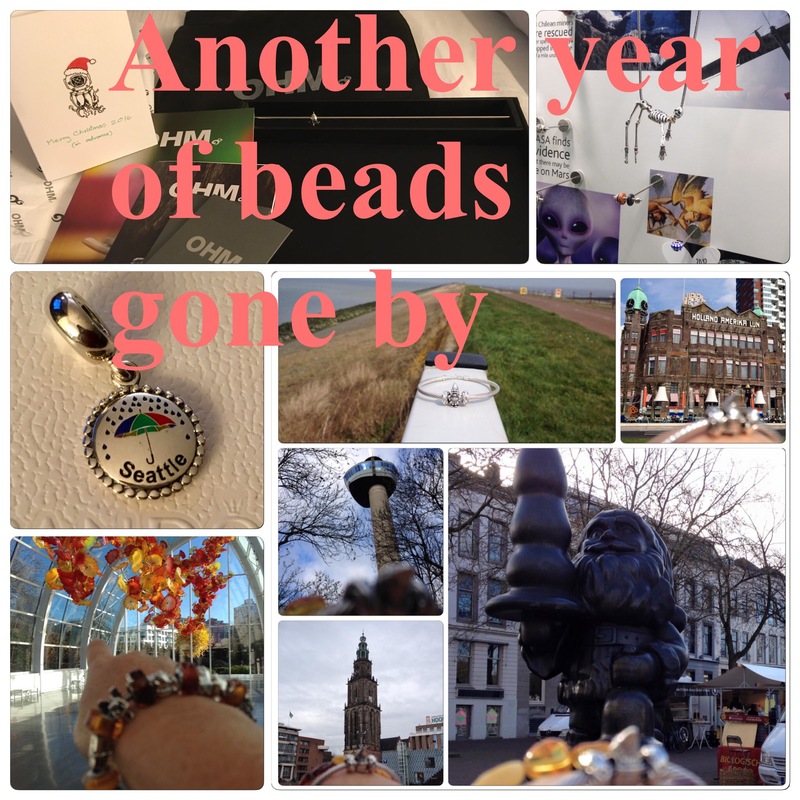 but I think I can still get away with a review of some of my bead highlights of the past year. 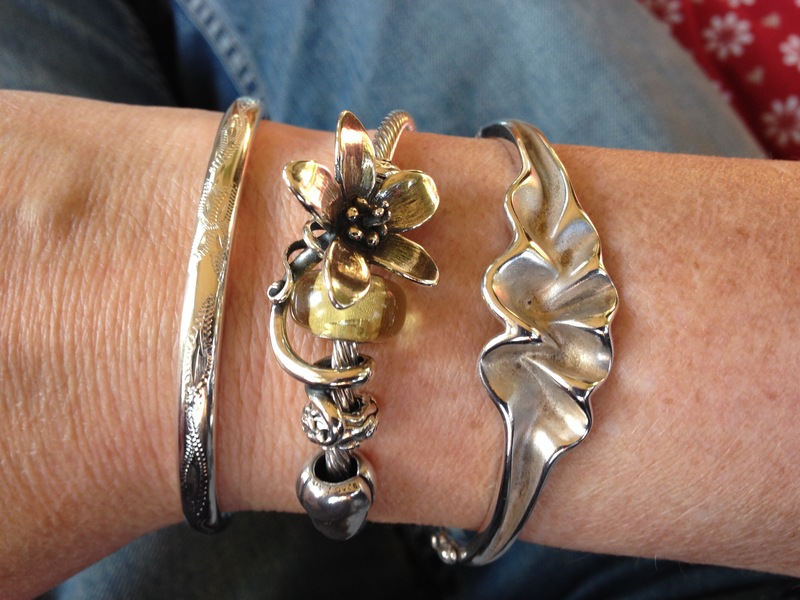 At the end of last winter I travelled to Copenhagen, where Pandora and Trollbeads started! 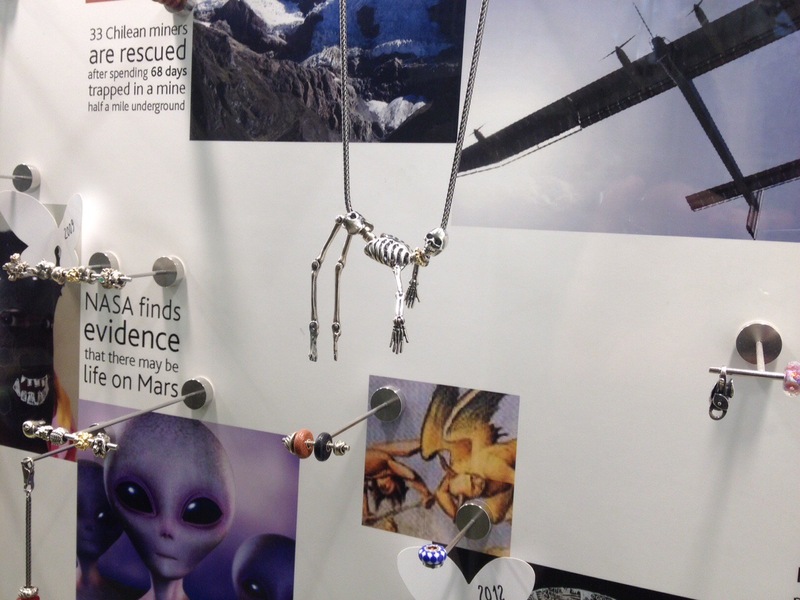 I visited the Trollbeads Flagship store located in the most beautiful shopping area Strøget. In the basement is the Trollbeads museum. 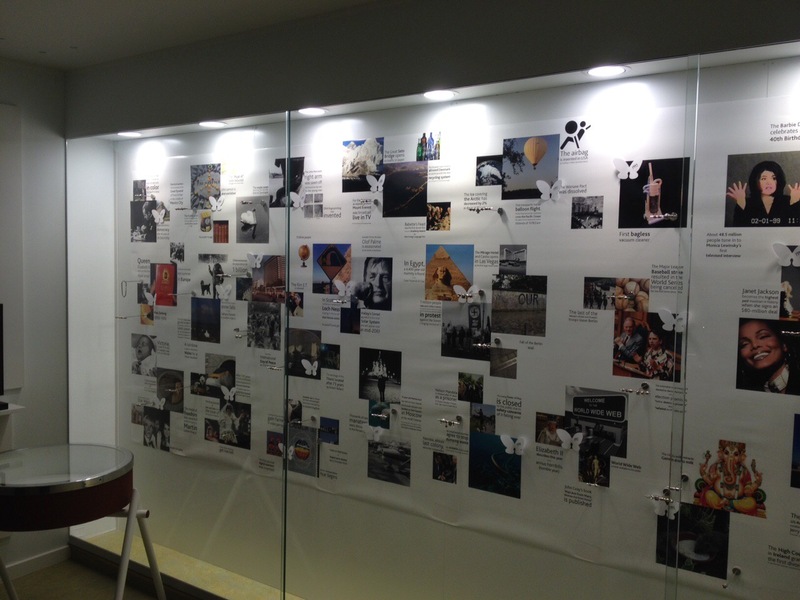 It shows the history from the beginning in 1976 until now. Combined with world news from the same era the beads are displayed on a big showcase wall. I could spend all day down there! Ofcourse a purchase was made. I bought the Anemone dangle, a beautiful wrap around bead. 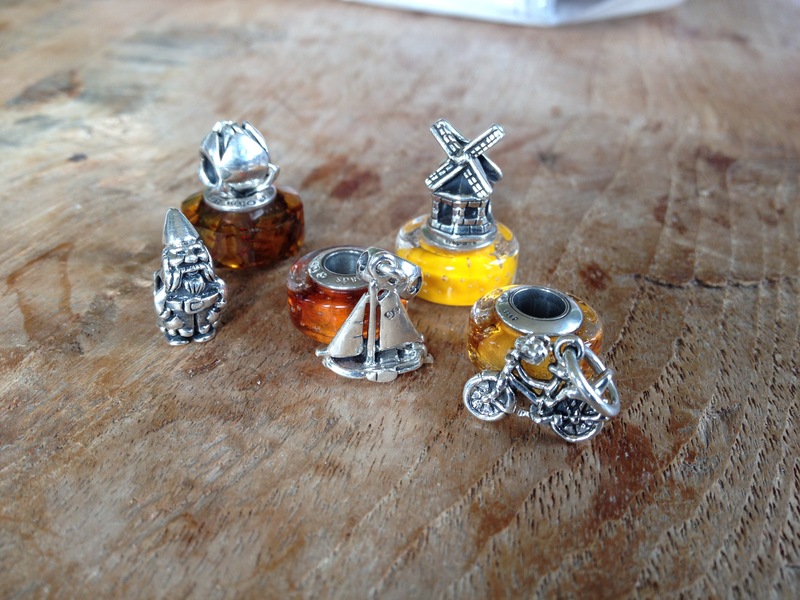 The amber is from House of Amber Copenhagen. 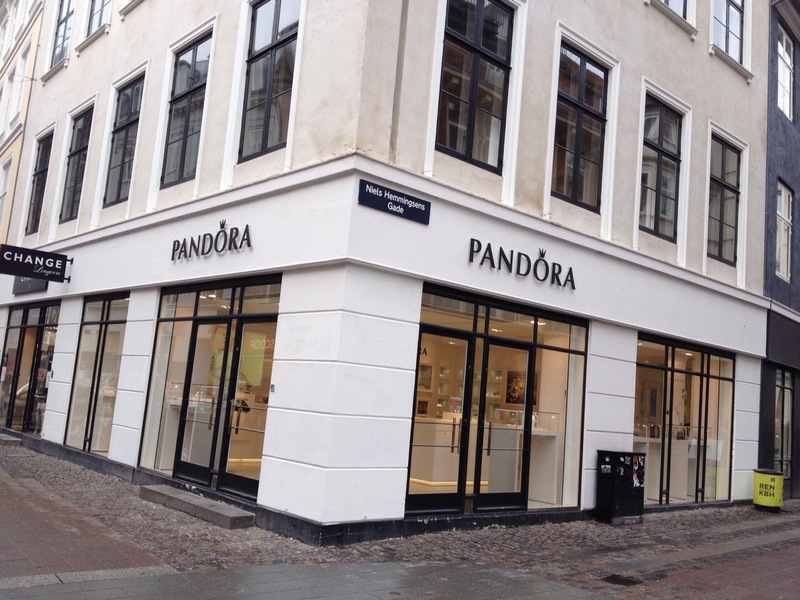 I also visited the Pandora Concept store also located in the Strøget area, the biggest concept store in Scandinavia. In the spring I received a very special guest, Traveling Ohmgnome! 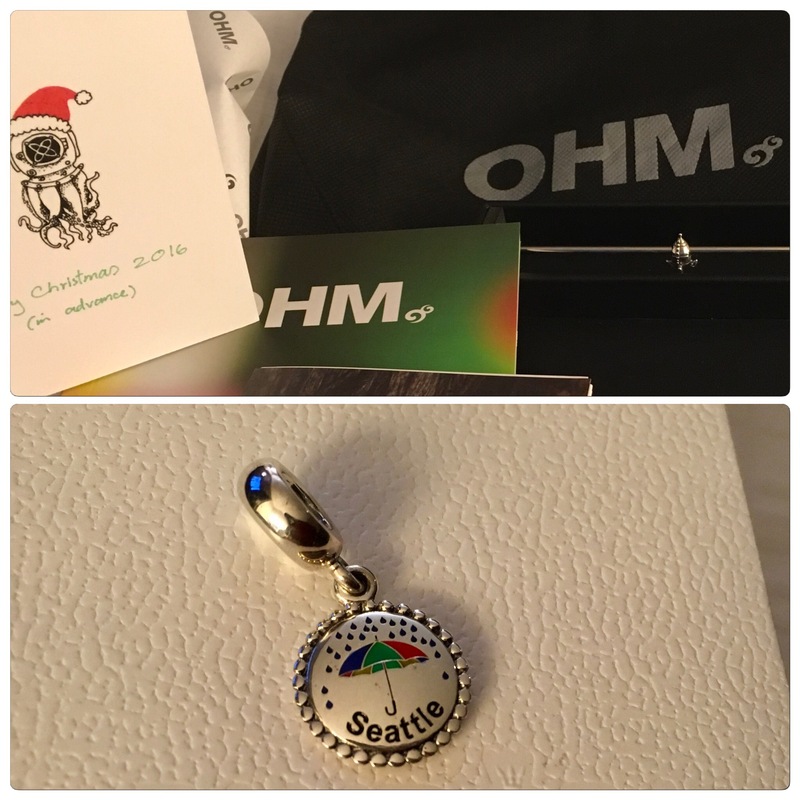 He left Ohm beads HQ in Seattle to travel the world and he already went to Singapore, Taiwan, Hong Kong and Australia! We had great adventures together, some sightseeing around the Netherlands. But sadly we had to say goodbye, because he needed to travel on! He spend some time in London and is now in France! 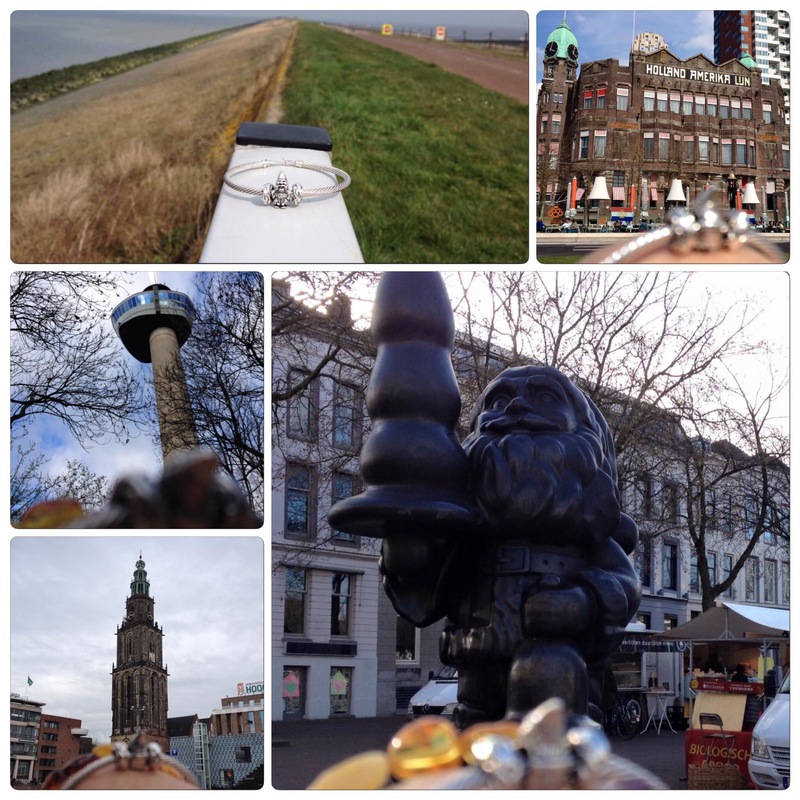 If you like to see his Dutch adventures you can find them on Instagram under #ohmgnomegoesdutch. And did you know Ohmgnome is related to Santa? It looks like he is everywhere around the world at the same time, look under #ohmgnome. 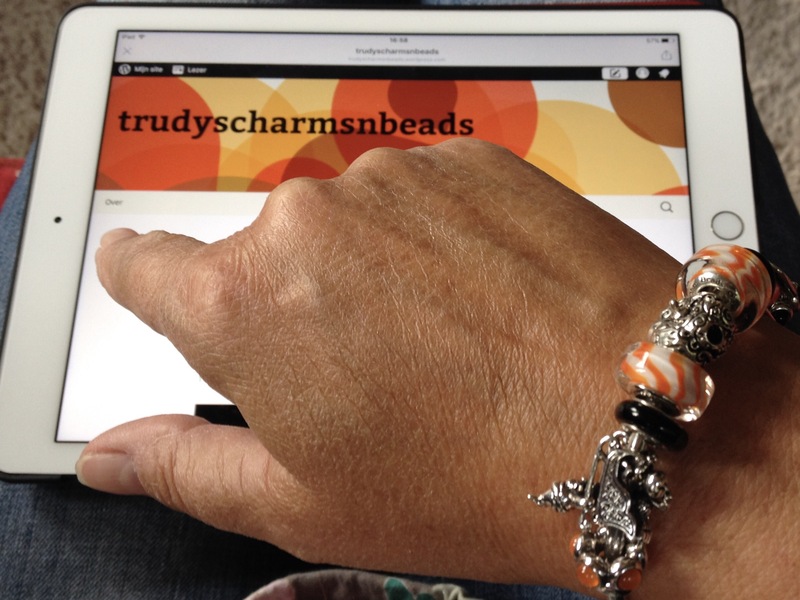 Another monthly highlight for me throughout the year is Ohm beads Bead of the Month. 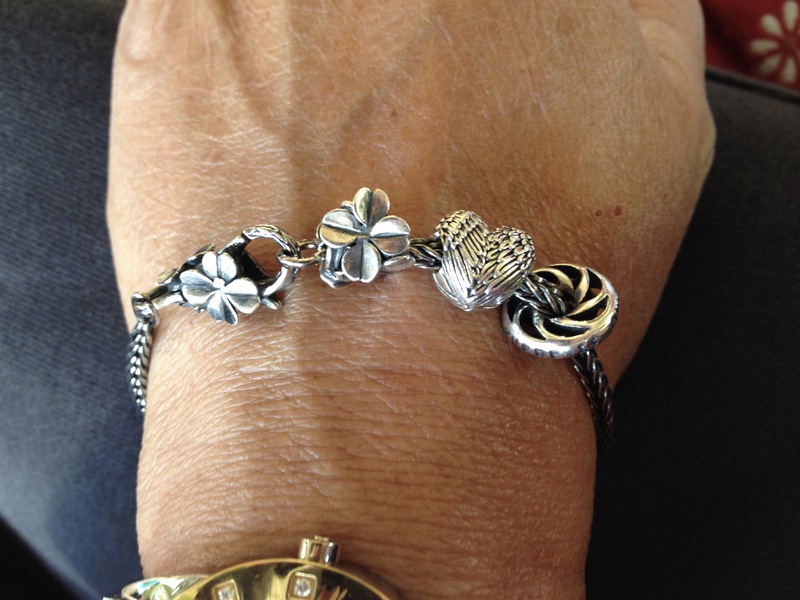 Birthday presents: Trollbeads 40th anniversary bracelet, Trollbeads Only one You and Pandora Angel heart. In October I started this blog! 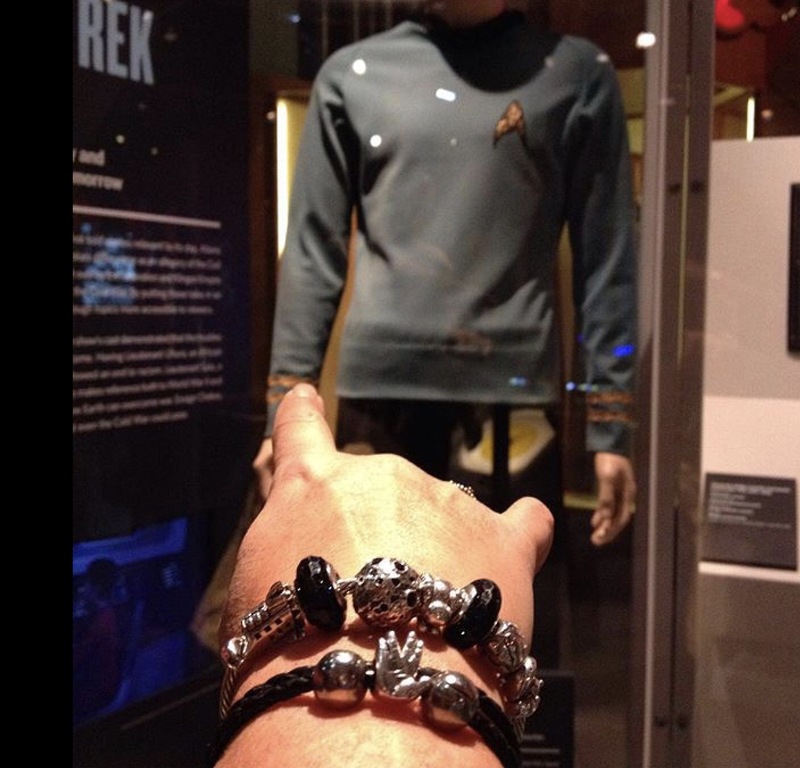 Another highlight for me, I love to show beads and bracelets and now I can tell the background stories to go with them! In November I travelled to Seattle. We had a fabulous week, the weather was like summer! Sightseeing, shopping and museums, it was an awesome time! And I also met up with Kit and Jenny from Ohm beads! We had a fun afternoon with sightseeing and much beadtalk! 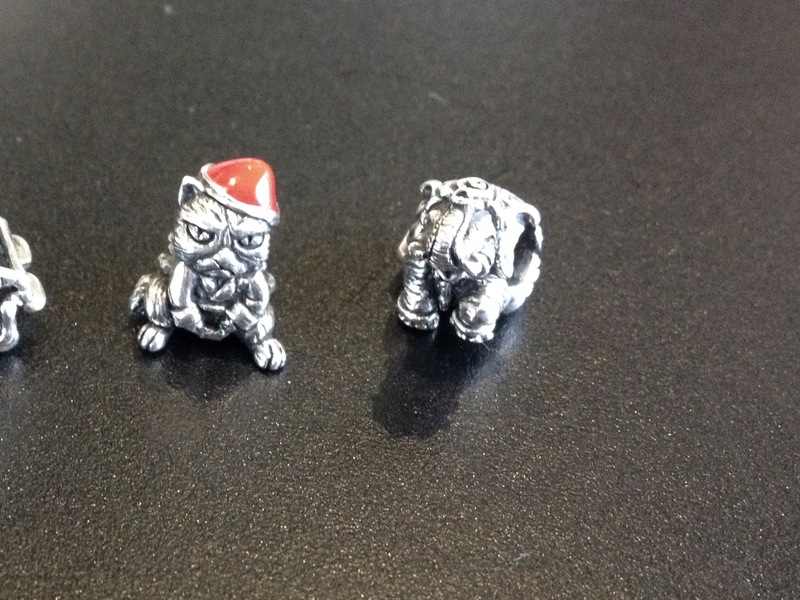 I got a little peek of new Ohm beads to come, these two Ho Ho No and Royal Elephant are released now. But I saw some new designs that are so unique and innovative and some hilarious characters that are coming! I know this is supposed to be a look back at last year, but I need to say that so much fun things from Ohm beads are coming this year! Beads from Seattle, Ohm beads Rocket and Pandora dangle. 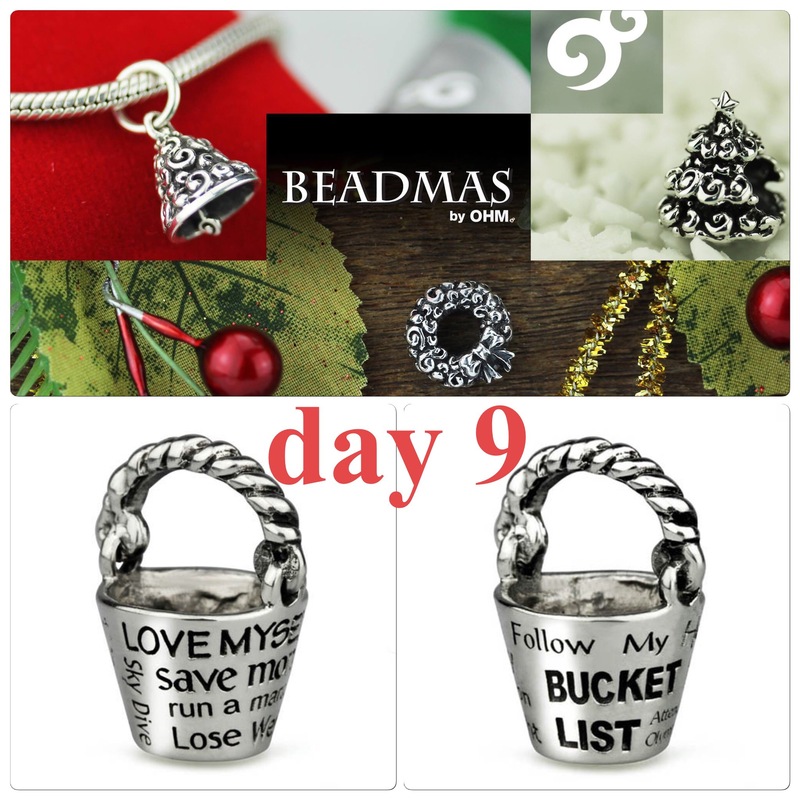 In December I was honoured to host a giveaway during Ohm beads Beadmas! We visited Copenhagen again during the Christmas holidays and I went to the Trollbeads Flagship store again. 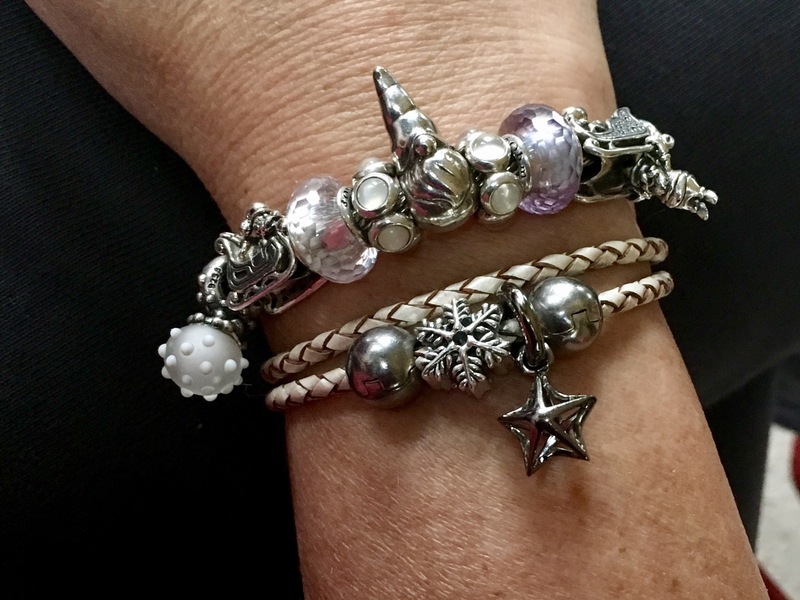 I bought the Winter bead (left), gorgeous for my Winter stack! On here are two Ohm beads Sugar Sleigh Ride, Redbalifrog Tomte, two Ohmbeads crystal beads, two Pandora moonstone cabochons. On the leather are two dark Pandora clips and Ohm beads Snowflake. And on the crossing between Denmark and Germany, on the crossing between 2016 and 2017 I bought the Story black star by Kranz&Ziegler. But the best highlight is and has been meeting, talking and connecting with people from around the world though bead collecting for many years now! Thank you! !